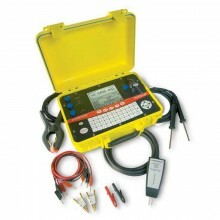 Includes: mains cord, measuring leads with Kelvin Clips, handbook, and Cropico DO7e calibration certificate. The Cropico DO7e is an accurate bench/portable Digital Ohmmeter for the measurement of resistance in the range 1μΩ to 600Ω. 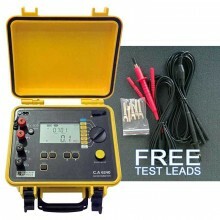 It offers you the four terminal resistance measurement method to eliminate the effect of lead resistance. 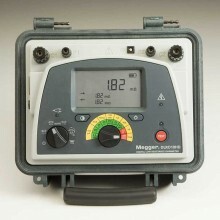 The measured values are displayed on a 4-digit LED display; an overflow of the selected range is also indicated. The measurement is true 4 terminal, using the Kelvin principle. A stable current is produced across the resistance to be measured via the C terminals, and the voltage drop across the Rx is measured at the P terminals. This potential drop is then compared against the voltage drop across internal standards. 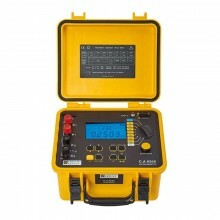 The ratio of these is then converted to the resistance value of Rx and displayed in ohms on the digital display. 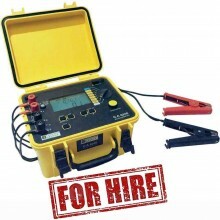 High accuracy and long term stability is achieved by using specially selected components. 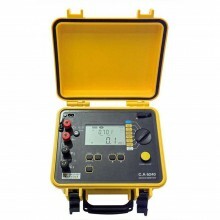 The measuring ranges may be automatically or manually selected. Rechargeable batteries means real portability with more than 1 hour of continuous operation on the lowest ranges, and 20 hours on all others. Automatic Power Off ensures maximum battery life. 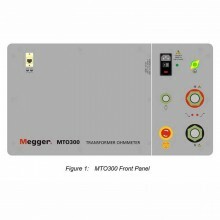 The internal charger will boost charge to 90% of full charge, switching automatically to a trickle maintenance charge. 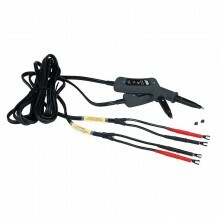 Warning LEDs illuminate when an open circuit lead condition is detected. 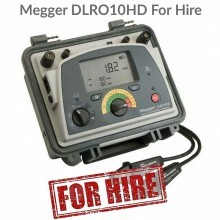 Simple push-button or auto-range selection of the range required, ensures that the DO7e may be easily used by unskilled personnel. Error and status warnings are illuminated when appropriate. Automatic Power Off ensures maximum battery life. 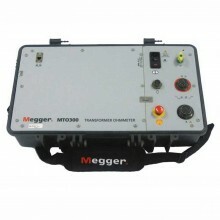 The internal charger will boost charge to 90% of full charge, switching automatically to a trickle maintenance charge. 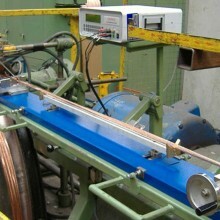 True 4 wire measurement eliminates lead resistance. 6 push button ranges 6mΩ to 600Ω. Resolution 1μΩ on 6mΩ range. 10A measuring current on lowest range. 0.8” LED display daylight viewable. 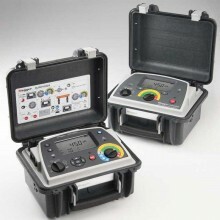 Input protection up to 415Vrms. 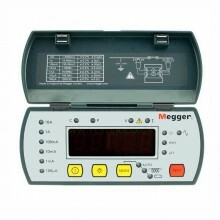 Forward and reverse current measurement. Auto average of forward and reverse measurement. 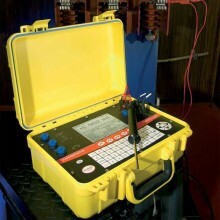 Digital calibration pass code protected. 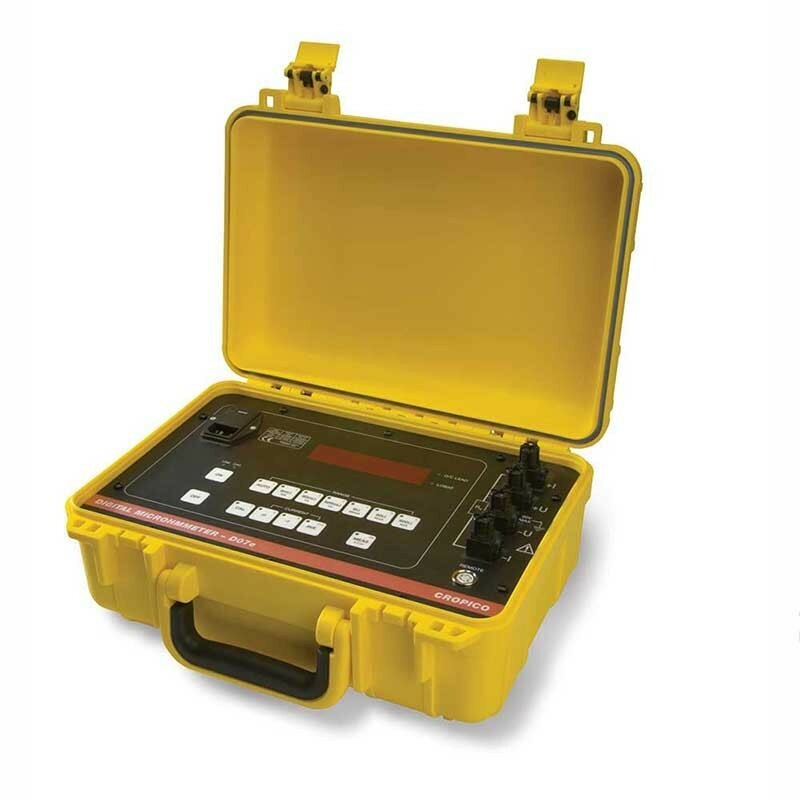 Measurement 4 terminal Kelvin/Thomson principle eliminates errors due to lead resistance. Open circuit measurement voltage of 2 V DC. 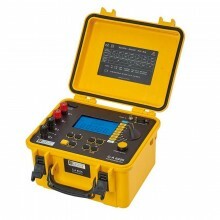 Display 0.8" LED, 6000 count with automatic decimal point and polarity indication. 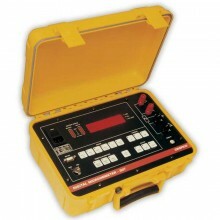 Ranges 6 push button selected with LED indication. 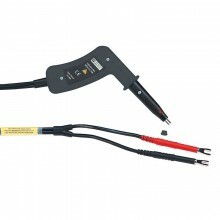 Terminals 6mm binding posts accept 6 mm bare wires and 4mm banana plugs (4 mm safety sockets). 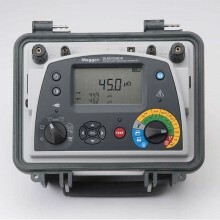 Working Temperature 0 to 40°C, relative humidity 80% max non-condensing. 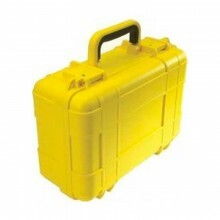 Storage Temperature -20 to +50°C. 47 Hz to 63 Hz, max 20 VA.
Protection 415 V rms maximum at input terminals. 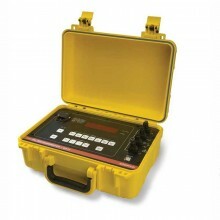 Calibration Digital, security key protected. 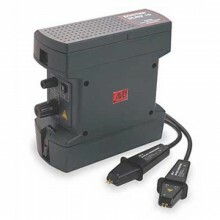 Battery Sealed lead acid battery with built-in charger. 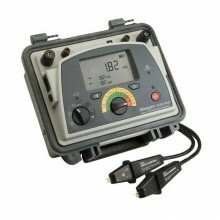 Greater than 1000 measurements on lowest (10 A) range and 20 hours on other ranges from a fully charged battery. Dimensions 343 x 327 x 152 mm (W x D x H) approx. Weight 6 kg (13lbs) approx. 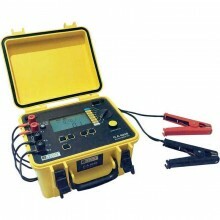 Cropico DO7e warranty 1 year - subject to registration with Seaward. 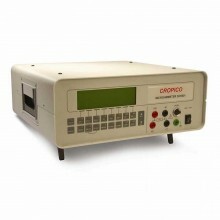 PDF Specifications of the Cropico DO7e Microhmmeter.